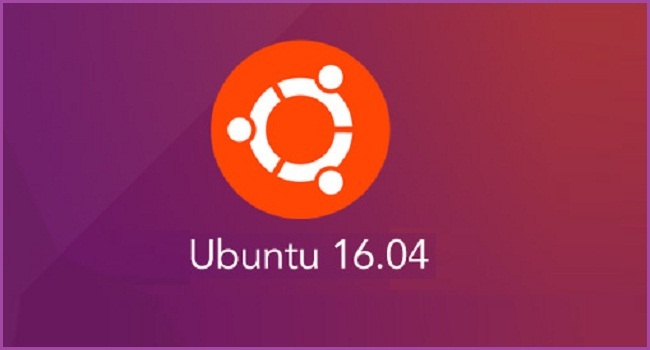 This guide will walk you through the steps to set up a new Ubuntu 16.04 server with basic configuration. There are a few configuration steps that we should take early on as part of the basic setup when we first install a new Ubuntu 16.04 server, . This may increase the security and usability of Ubuntu server and it will give a solid foundation for subsequent action. To log into your Ubuntu server, you will need to know your server's public or private IP address. You will also need the password or, if you installed an SSH key for authentication, the private key for the "root" user's account. Complete the login process by accepting the warning about host authenticity, if it appears, then providing your root authentication (password or private key). If it is your first time logging into the server with a password, you will also be prompted to change the root password. To add these privileges to our new user, we need to add the new user to the "sudo" group. By default, on Ubuntu 16.04, users who belong to the "sudo" group are allowed to use the sudo command. Now a new user "jhon" can run commands with superuser privileges. The next step in securing your server is to set up public key authentication for your new user. Setting this up will increase the security of your server by requiring a private SSH key to log in. If you do not already have an SSH key pair, which consists of a public and private key, you need to generate one. If you already have a key that you want to use, skip to the Copy the Public Key step. Press Enter to accept this file name and path (or enter a new name). Next, you will be prompted for a passphrase to secure the key with. You may either enter a passphrase or leave the passphrase blank. Note: If you leave the passphrase blank, you will be able to use the private key for authentication without entering a passphrase. If you enter a passphrase, you will need both the private key and the passphrase to log in. Securing your keys with passphrases is more secure, but both methods have their uses and are more secure than basic password authentication. This generates a private key, id_rsa, and a public key, id_rsa.pub, in the .ssh directory of the localuser's home directory. Remember that the private key should not be shared with anyone who should not have access to your servers! After generating an SSH key pair, you will want to copy your public key to your new server. We will cover two easy ways to do this. If your local machine has the ssh-copy-id script installed, you can use it to install your public key to any user that you have login credentials for. After providing your password at the prompt, your public key will be added to the remote user's .ssh/authorized_keys file. The corresponding private key can now be used to log into the server. To enable the use of SSH key to authenticate as the new remote user, you must add the public key to a special file in the user's home directory. Now you will be in your new user's home directory. Now your public key is installed, and you can use SSH keys to log in as your user. To read more about how key authentication works, read this tutorial: How To Configure SSH Key-Based Authentication on a Linux Server. Next, we'll show you how to increase your server's security by disabling password authentication. Now that your new user can use SSH keys to log in, you can increase your server's security by disabling password-only authentication. Doing so will restrict SSH access to your server to public key authentication only. That is, the only way to log in to your server (aside from the console) is to possess the private key that pairs with the public key that was installed. Note: Only disable password authentication if you installed a public key to your user as recommended in the previous section, step four. Otherwise, you will lock yourself out of your server! To disable password authentication on your server, follow these steps. Password authentication is now disabled. Your server is now only accessible with SSH key authentication. Now, before you log out of the server, you should test your new configuration. Do not disconnect until you confirm that you can successfully log in via SSH. If you added public key authentication to your user, as described in steps four and five, your private key will be used as authentication. Otherwise, you will be prompted for your user's password. Note about key authentication: If you created your key pair with a passphrase, you will be prompted to enter the passphrase for your key. Otherwise, if your key pair is passphrase-less, you should be logged in to your server without a password. Once authentication is provided to the server, you will be logged in as your new user. Different applications can register their profiles with UFW upon installation. These profiles allow UFW to manage these applications by name. OpenSSH, the service allowing us to connect to our server now, has a profile registered with UFW. If you install and configure additional services, you will need to adjust the firewall settings to allow acceptable traffic in. At this point, you have a solid foundation for your Ubuntu server. You can install any of the software you need on your Ubuntu 16.04 server now.